Gather round sinners. Another heathen has stepped into the confession booth to seek forgiveness. 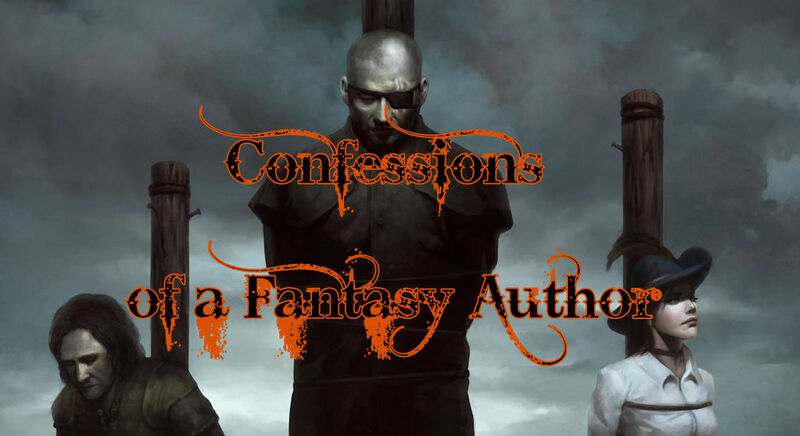 Today, Andy Peloquin, author of Traitor’s Fate: A Queen of Thieves, bares his soul. His book releases tomorrow and is no doubt filled to the brim with his sinful words. I, of course, am absolutely perfect, and thus have no embarrassing confessions to make. This blog post has been a waste of your time. Have a lovely day. I suppose the first confession would be that I’m absolute rubbish at writing humor. Some of my favorite books are humorous—Terry Pratchett, Douglas Adams, and Dave Barry—but any time I attempt to write humor, I end up being snarky and sarcastic rather than funny. I wrote my first short story at the age of 10. The title: “Tally the Tigermaster”. (WTF is a name like “Tally”?) It had everything: the circus, great flair, a near-fatal tiger bite, and a definite “come to Jesus” moment. Thankfully, no trace of that garbage story remains to this day. My first attempt at a novel began when I was 15. I had too much free time and nothing to do, so I sat down to write the GREATEST ACTION MOVIE NOVEL EVER. Think the car racing of Fast and the Furious, the martial arts of the Matrix, and the guns and fast-paced action of James Bond. I got six chapters into the story before realizing it was garbage and deleted it immediately. The world was spared my teenage nonsense. I didn’t play Dungeons and Dragons or read comic books until I was 19 years old. At which point, I promptly became a massive comic book and D&D geek—and never looked back since! To this day, I still struggle to stop my characters from nodding and shaking their heads every other sentence. I have to force myself to find other ways to express agreement or disagreement instead of relying on simple body language. Commas are both my best friend and worst enemy. I still have yet to master of art of when and when not to include them. My editor says I use them 40% too much. To my mind, I don’t use enough. I am barely on speaking terms with colons, semi-colons, and em dashes—they’re just so hard to get right! I do not understand a lot of what people call art. While I can appreciate beautiful colors, if the image doesn’t make sense to me, it irritates me no end. But as he stalks his target, he unmasks a bloodthirsty conspiracy in the guise of a holy mission. If he doesn’t stop the men responsible, the gruesome murders will continue and people—including those he has sworn to protect—will die. 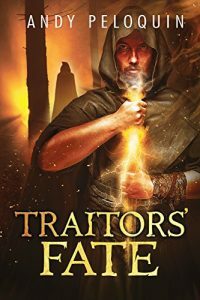 Fans of Brent Weeks, Brandon Sanderson, and Joe Abercrombie will devour Traitors’ Fate!